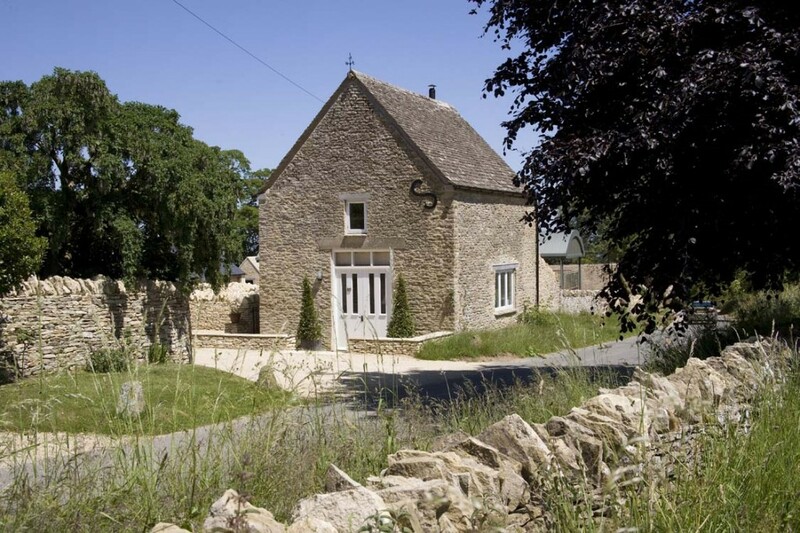 At the side of Wren House, yet privately situated, is an idyllic 17th Century Grade II listed Cotswold stone building – an old Granary – stunningly converted into a surprisingly spacious one bedroom cottage perfect for two. 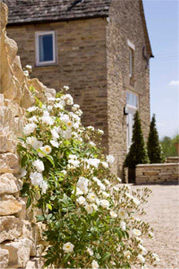 Delightfully classic in style, the cottage sits on its own divided from the main house by a tall hedge and dry stone walls giving both properties their privacy, and the Granary its own garden and off road parking. 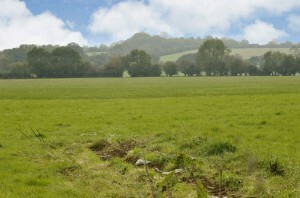 The south-facing sitting room has far-reaching views across open fields and a quiet lane from an enticing window seat, and is equipped with WiFi superfast fibre optic direct cable broadband (Download 51 mbps, Upload 47 mbps), a TV with DVD slot, and a Sony Radio/CD player with iPOD dock. The French windows open onto its own enclosed very sunny patio garden made up of a series of terraces with attractive, scented planting. Relaxing long chairs are provided to sleep off that delicious lunchtime glass of wine, there is a BBQ and table, chairs with cushions and sun umbrella for alfresco dining. For cold winter evenings, there is a log burner – just perfect to settle down snugly in front of after an invigorating walk in the beautiful surrounding countryside. Maps and information are provided to help you make the best of your visit to the area, and there is comprehensive ‘Black Bible’ to help you understand the cottage. 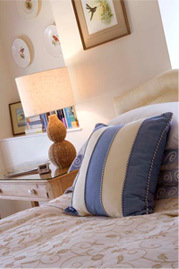 Kiloran has undertaken extensive “what-would-I-want-in-a rented-cottage” renovation of the interior to ensure everything is finished to the highest quality and for the greatest comfort. 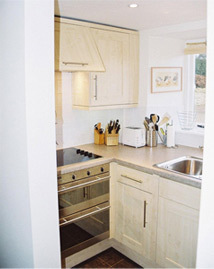 The kitchen is compact but very efficiently laid out with ceramic hob, double oven, fridge freezer, washer dryer, microwave, full-sized dishwasher and washer/dryer. 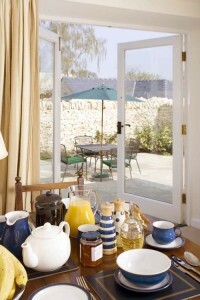 There is a fold down table large enough for four with chairs in the sitting room. 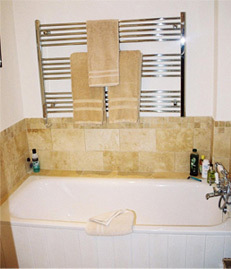 Upstairs, the bathroom has a bath and a separate powerful shower with individually operated handheld and overhead spray, all elegantly finished with Cotswold coloured travetine tiles. The large double bedroom has a super kingsize 6′ x 6’6″ (200 cm x 180 cm) very comfortable Sleepeezee pocket sprung bed which can also be divided into a twin arrangement of two 3 foot wide (92 cm) divan beds. The bedroom has a dual aspect and extensive cupboard space, an ironing board and an iron. 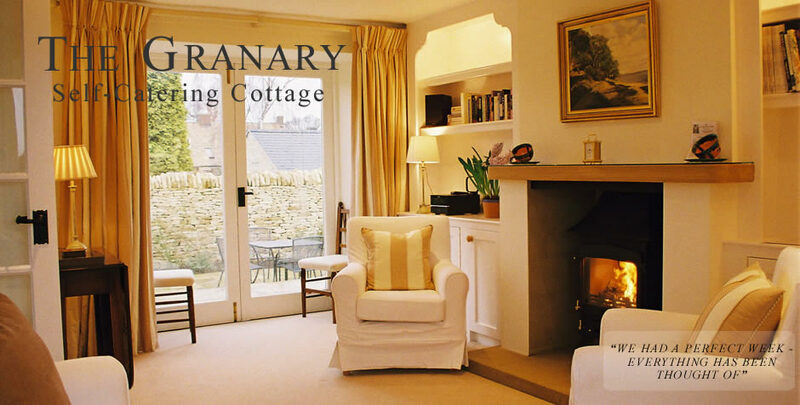 The cottage has been described as a Cotswold “tardis” – small on the outside, but spacious and light on the inside: a relaxing “home from home” for a couple within easy access to all the lovely north Cotswold villages such as Stow-on-the-Wold, just under two miles away. There is a weekly Tuesday morning market in Moreton-in-Marsh, a Farmers’ Market in Stow on the second Thursday of every month, and, barely 4 miles away, the award-winning DAYLESFORD Organic farm shop and the Hay Barn Spa daylesford.com , with a Tesco just over one mile away, an M&S food outlet at the Stow petrol station, an Aldi in the opposite direction – and a Majestic wine in Stow next to the petrol station. 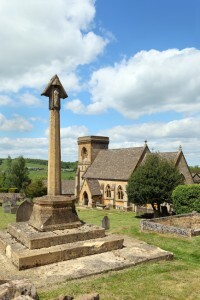 Chipping Campden, Broadway, Bourton-on-the-Water, Upper and Lower Slaughter are within easy access. 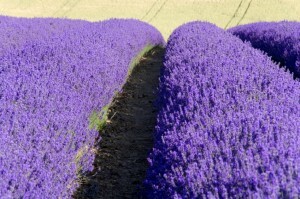 A day trip to Oxford, Stratford-upon-Avon, or even Bath is easily doable. 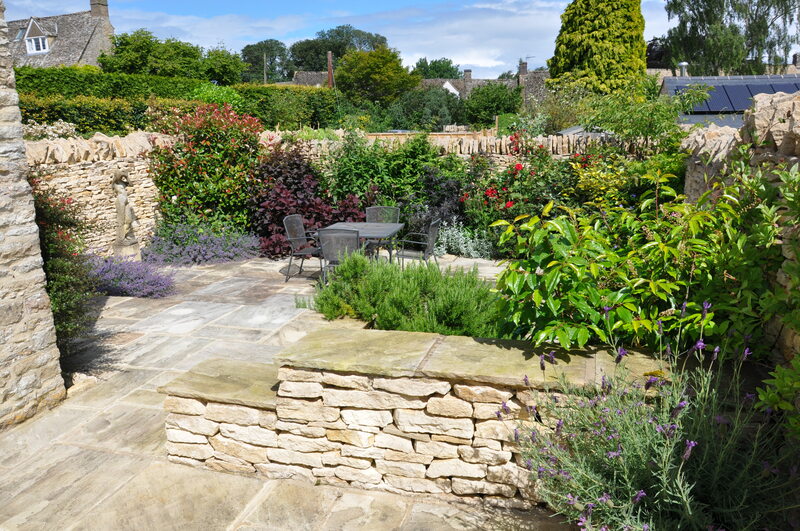 If you like gardens, Hidcote and Kiftsgate are nearby and a private garden at Bourton House near Moreton (highly recommended April-Sept Wed-Fri), and Donnington is about a 50 minute drive to Highgrove Gardens (pre-bookings only). Houses such as Chastleton, Sezincote (the forerunner to the Brighton Pavilion), Charlecote, and Blenheim Palace are on your doorstep. 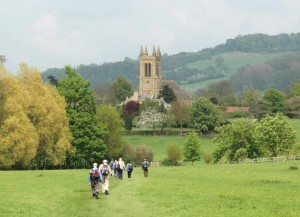 If, however, you just want to immerse yourself in the glorious Cotswolds, there are plenty of small villages and miles of rolling countryside to explore on foot or by car. And we are particularly fortunate to have some excellent food at pubs very close by, so no need to cater if you prefer not to (click DINING OUT from the Wren House website which Kiloran regularly updates). Donnington, although barely 40 houses, boasts its own dairy (gorgeous milk in glass bottles produced less than a mile from your door) and, in a separate section from the village (too far to smell! 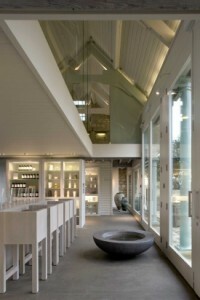 ), is Donnington Brewery. 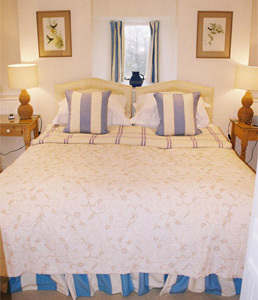 The cottage bedroom is also spacious enough to accommodate a cot for a baby. A travel cot (which is best with your own mattress and bedclothes) and a high chair and changing mat are available. The Granary is not suitable for toddlers, young children or the unsteady elderly because of high, unguarded drops in the terraced garden. There is off-road parking for two cars. Sorry, no pets.